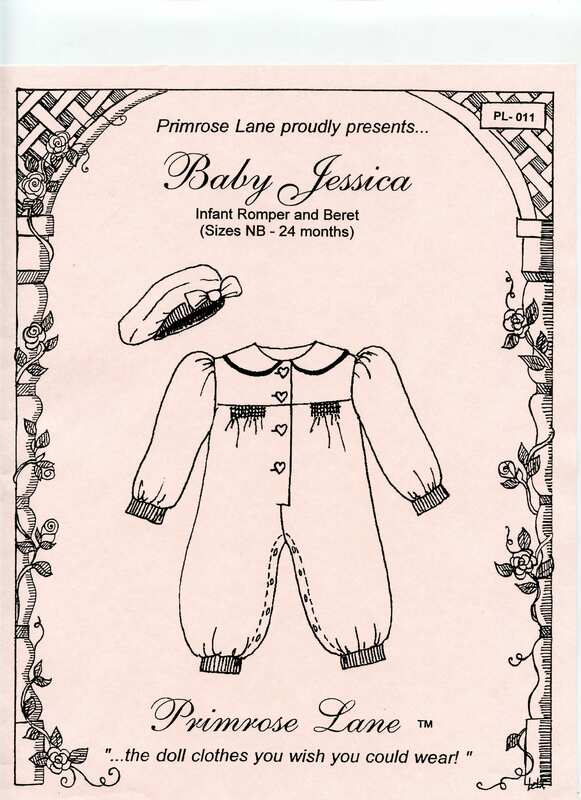 Baby Jessica by Primrose Lane. This precious romper is the perfect ensemble for cooler weather! It can be smocked or appliqued and features a button front and high yoke, accented with a Peter Pan collar. For added fit and comfort, ribbing is used at both the wrist and ankle cuffs. The snap closure along the inseam also opens easily for diaper changing. 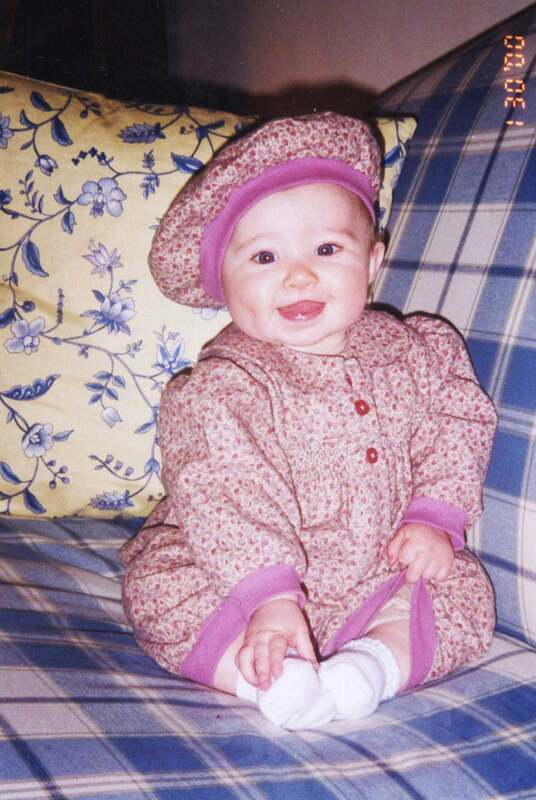 A matching beret with ribbing band completes the ensemble. Several options are included that make this a most versatile pattern! 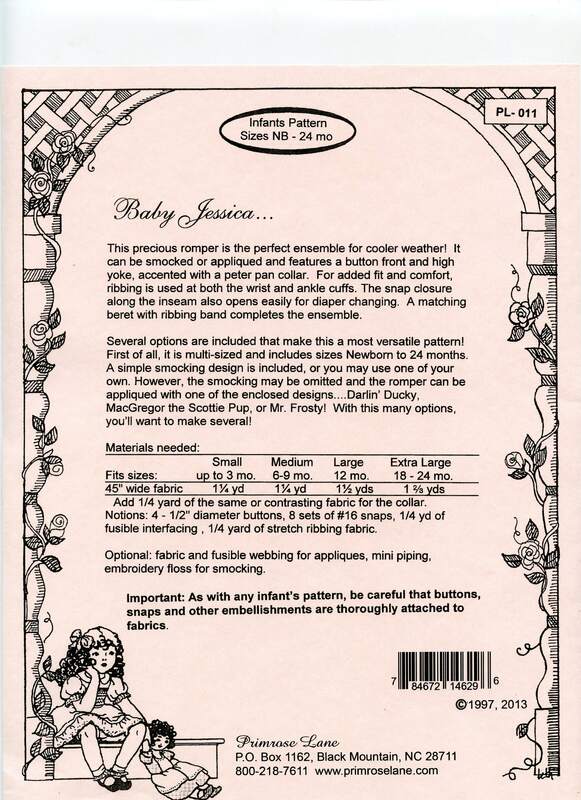 First of all, it is multi-sized and includes sizes Newborn to 24months. A simple smocking design is included, or you may use one of your own choosing. However, the smocking may be omitted and the romper can be appliqued with one of the enclosed designs! Darlin' Ducky, MacGregor the Scottie Pup or Mr. Frosty! With this many options, you'll want to make several!